Rimini Street, Inc. (“Rimini” or “Rimini Street”) is a global provider of enterprise software support products and services, and the leading third-party support provider for Oracle and SAP software products. The company has redefined enterprise software support services since 2005 with an innovative, award-winning program that enables licensees of IBM, Microsoft, Oracle, SAP and other enterprise software vendors to save up to 90 percent on total support costs. Clients can remain on their current software release without any required upgrades for a minimum of 15 years. Over 1,330 global Fortune 500, midmarket, public sector and other organizations from a broad range of industries currently rely on Rimini Street as their trusted, third-party support provider. LEON is a quick service restaurant chain based in the UK. The founders set out to prove that it was possible to serve fast food that both tastes good and does you good. The menu is inspired by the flavors, variety and natural healthiness of Mediterranean cooking, and prices are reasonable, so that everyone can eat well. Spice’s investment will help LEON to pursue its growth plan in the UK and internationally. 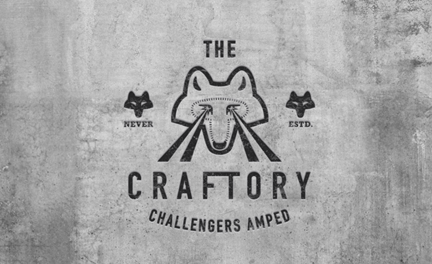 The Craftory is an investment holding company with approximately USD 300 million of permanent capital to deploy in up to 10 of the world’s boldest challenger brands within the fast-moving consumer goods space. It focuses on Europe and the U.S., searching for high-growth consumer brands with annual revenues of at least USD 10 million. The goal is to boost sales with scalable operations, effective storytelling and digital marketing. The Craftory is being led by entrepreneurs and brand experts such as its founder and CEO Elio Leoni Sceti, who is a current board member of Anheuser-Busch InBev and former CEO at Iglo Birdseye and EMI Music, as well as other experienced professionals who have worked at Coca-Cola, Disney, Polycomm, Atomico, Temasek and other global companies. FoodFirst Global Restaurants (formerly Bravo Brio Restaurant Group) is a leading US-based owner and operator of two distinctive Italian restaurant brands: BRAVO! 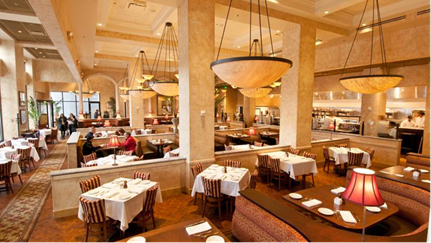 Cucina Italiana and BRIO Tuscan Grille. The company has more than 110 sites across 32 states in the United States, most of which are strategically positioned in high-traffic areas and A+ shopping centers. FoodFirst strives to be the best Italian restaurant company in America and is focused on providing its guests with an excellent dining experience through consistency of execution. To achieve that goal, a solid management team is being led by Brad Blum, the former CEO of Burger King and former president of Oliver Garden.